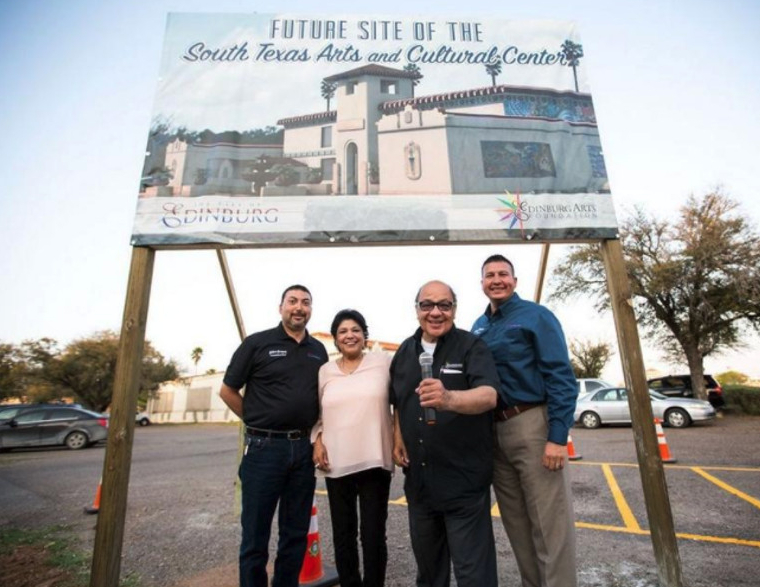 On March 2, the City of Edinburg Library and Cultural Arts Division and the Edinburg Arts Foundation unveiled a new sign marking the spot of the future South Texas Arts and Cultural Center. Plans are in the works to renovate the old Sam Houston Elementary School. The vision is to feature local artists, host family-friendly cultural events, and attract more visitors to the city. The city acquired the property at the corner of McIntryre and 8th streets in December 2016. Edinburg Library Director Letty Leija believes the future facility will serve as the foundation for an arts district in Edinburg. “The unveiling of the sign denoting the Sam Houston Building as the future South Texas Arts and Cultural Center is yet another step to seeing a dream that started in 2007 become a reality,” she said.